Heavy-duty plastic spreader is ideal for seeding bare or thin spots and small yards, as well as applying fertilizer and weed control. 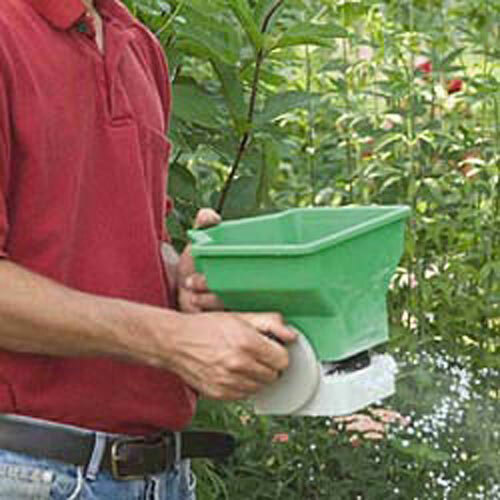 This handy garden tool applies a uniform swath of seed or pelletized lawn treatment that is 6-12 ft. wide. Has easy-to-use, adjustable settings and an easy-grip handle. Durable spreader can be used for several seasons. Holds 6 lbs. of pelletized material or 3 lbs. of grass seed.